Thank you to Linda @ Gluten Free Homemaker for putting together such a great event! 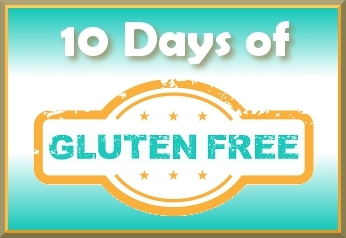 Linda has pooled together 10 experts who each have chosen an area to focus on for daily, brief tips relating to starting or maintaining a gluten free lifestyle. You will need to visit each individual blog to see their daily tips and advise. 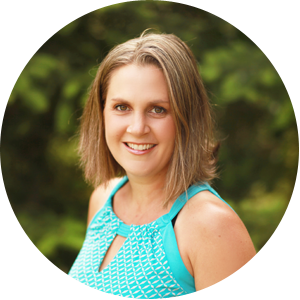 I am happy to be participating and will be sharing tips on lunchboxes and snacks! Muffins & Waffles for a Lunchbox?! Today’s Theme: Lunch on a Stick! I don’t remember when I first thought to serve lunch with a toothpick….but it opened up a whole new world to me! It’s amazing how kids will try things based solely on the fact they are on a stick!! I won’t try to understand why novelty plays such a huge roll in kid eating psychology, but it does, and this is no exception. 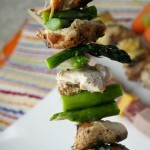 Come along as we explore some ‘lunch on a stick” ideas. Don’t forget that many of these would be even more alluring with a tasty dip (see my post on those linked above!) served along with it! I have served these two ways: either skewered on long sticks, or all the bite size pieces in a reusable container and a toothpick so my kids can poke their own goodies. Choose your own adventure! What ideas can YOU conjure up for us? Carrots and celery (remember the dairy free veggie dip from Whole New Mom?) Other veggies would be good too: red pepper, cucumber, radish, etc. 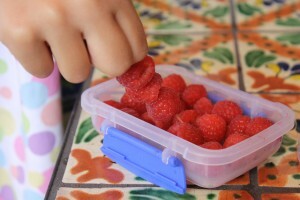 Fresh fruit: Serve with one of the fabulous dips from yesterday’s dips post! Don’t forget to visit each blog to see other helpful advise and hints! Nothing is more fun then playing with pointy objects. 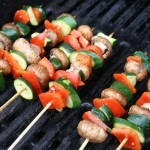 Thanks for sharing your kabobs on foodie friday. Lately my 4.5 year old has started with some food pickiness- I’ll definitely try this food on a stick trick! Thanks! My fingers are crossed for you..what a pain finickiness is! Thanks for stopping by Mary, I am glad you find the ideas helpful! OMG!!! Your photos are beautiful! The ideas are wonderful! I have so enjoyed these gluten free days! mmm I want a stick of raspberries to dip in fudge! yum! 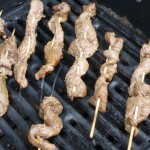 those skewer photos are making me hungry! This is awesome! I have never thought of doing this! LOL Debbie, my daughter has serious impulse control issues and we’ve been good so far…but I know how boys like to turn everything into a sword too! Love the idea of cake and strawberries on a stick. Yum! Nice photography too. Well we are talking strawberries and cake here Diana!! Not too hard to go wrong with that combo! I was inspired by ingredients I had on hand…I usually have some cake or cupcakes on hand to bring to b-day parties or school celebrations, and I was experimenting w/ a recipe that called for the marshmallow creme and had a TON leftover to create something with! Thanks for your comment! You have some very neat ideas for kids……grown-ups might even enjoy then at parties. I agree Pat, these would make great apps or lunch trays for adults too!! Great idea for making lunch fun! So cleaver! 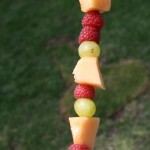 I love doing the fruit kabobs. 🙂 This would also make a super fun birthday party activity!